Lee County is in close proximity to two hospitals, multiple outpatient centers, convenient care and medical clinics in and around the surrounding counties. 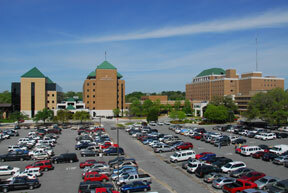 Founded in 1911, Phoebe Putney Memorial Hospital is one of Georgia's largest comprehensive regional medical centers. The flagship hospital Phoebe Putney Memorial Hospital is a 443-bed teaching hospital and a regional center for cancer and cardiac medicine. The Phoebe Cancer Center is one of the busiest and most advanced in the Southeast. The Phoebe Heart Center performs more open-heart and cardiac catheterization procedures than all other hospitals in the region combined. 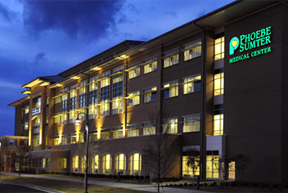 Phoebe is one of only six designated perinatal centers in the state of Georgia and is the regions only provider of neonatal intensive care, cardiovascular surgery and radiation oncology services. 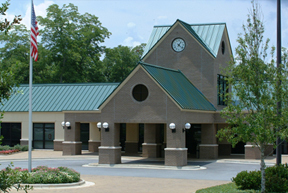 Phoebe Sumter Medical Center is a diversified health care system, complete with Inpatient and Outpatient Diagnostic and Therapeutic Services, Outpatient Surgery Services, Hospice, Rural Health Care Centers, Migrant Health, School Nurse Program and numerous physician specialties and office practices. This state-of-the-art 183,000 square foot facility features 76-beds and all private rooms, and offers patients the most advanced equipment and technology available. The Phoebe Family Medical Center in Lee County treats patients by appointment only Monday through Friday from 8:00 am to 5:00 pm. For more information about Phoebe Family Care Center or to schedule an appointment, call (229) 312-7490. Phoebe QuickCare only treats patients on a walk-in after-hour basis Monday through Friday from 6:00 pm to 10:00 pm. An appointment is never needed, patients see our clinicians quickly, and we prescribe medications when necessary. The Lee Medical Arts Center provides accessible and affordable health care services to Lee and surrounding counties. The staff include general practitioners and certified physician assistants specializing in internal medicine and pediatrics. This health care facility also offers special payment programs to qualifying low-income families. The Lee County Health Department, a public health facility, offers a full range of physical and mental health services as needed by families and idividuals in the community.